Can you believe it’s almost time to start preparing for summer break? With huge piles of snow everywhere that don’t seem to be melting anytime soon, sunny weather and beach days seem about as distant as the moon. However, it’s never too early to start thinking ahead, as before you know it your kids will be running through sprinklers and complaining of the heat. Also, while summer break can be a fun and exciting time for many of us, it can add a whole new level of stress trying to coordinate activities for our students with special needs. Because children with autism often benefit from structure and consistency, days or even weeks off may feel anything but relaxing. If you, like many parents, struggle with planning for days off, here are some tips for making them more successful. Make a schedule. Our sessions are often more successful when our children have a visual to help them transition from one activity to the next. You can do this as well by writing out a list of the daily “to do’s,” or a visual schedule with photos or cartoons of the daily activities. You may want to have your child cross off each completed item, or move the picture icon from a “to do” to “all done” side of the schedule. Decide how much time you are comfortable with your child having electronics and put it on the schedule. If you feel like 30 minutes is appropriate for iPad time then write it out so there are clear expectations on the schedule (e.g. “Computer games—20 minutes”). Since our students often respond well to structure, a clear beginning and end time for these preferred activities can make the transition smoother. A timer that your child can hear, or even a visual timer (available as an app on a phone or tablet) could be a good way to signal the change in activity. Additionally, use can these activities as reinforcers by placing them on the schedule directly after a less-preferred activity (i.e. “first clean-up then iPad”). 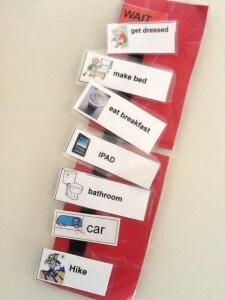 Incorporate things your child can do independently onto the schedule. If you’re child loves to play legos or look at comics, then put this on the schedule as well (also set a timer). Breaks and vacation days are a great opportunity for children to build up these independent leisure skills, so that they can keep themselves engaged with these activities for increased durations. Get outside! Whether it’s a walk to the park, a lawn game, or even helping out with chores—some fresh air will do everyone good, and it’s a great way to break up the day. Going for a walk is a great way to practice safety skills in the community (stopping and waiting, crossing the street, etc. ), and the children can practice social interactions as well. If there is a preferred community outing that your child really likes (the park, a certain store), again, use this as a reinforcer by placing it directly after a more difficult task on their schedule. Arts and Crafts. There are plenty of websites nowadays that can help you to derive some activities out of what you have in your house. 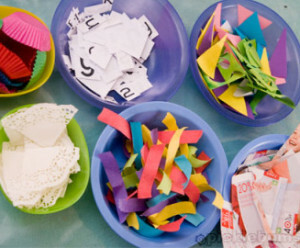 Make a collage out of magazine clippings or make homemade play doh! 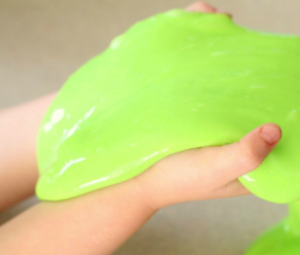 There are tons of different sensory activities you can explore using household ingredients, such as slime, gak, moon sand, and much more! 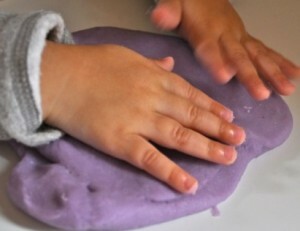 Use this as an opportunity to practice the fine motor skills your child has learned in school. Additionally, you may discover your children really enjoy the sensory input from the different materials. If you are looking to schedule activities for more than just a few days of summer vacation, a summer day camp is a great way to get your children active and participating with their peers in a number of structured activities. RCS Behavioral and Educational Consulting has worked closely with a variety of summer programs to provide ABA support to children as they attend these programs with siblings and peers. If your child is enrolled in a summer camp, RCS can provide a 1:1 behavior therapist to assist with communication, social skills, safety skills, behavior management and activities of daily living. Numerous camp options are available to parents and can be found online. One such program is the Boys and Girls Club of Boston (http://www.bgcb.org/about-us/programs-and-services/summer-programs/). Mass Camps has a large list of summer camp options in the Boston area (http://www.masscamps.com/MassCampsBos.htm). Aspire Summer Camp is also a great resource for children with Autism Spectrum and related diagnoses (http://www.massgeneral.org/children/aspire/services/summer-camp.aspx). We hope you have a fun, productive, and successful summer! 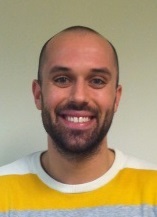 Robert Jost, M.S., BCBA is a Clinical Liaison at RCS Behavioral & Educational Consulting and has been working for the company for over 4 years. He received his Bachelor of Arts in Psychology from Fresno Pacific University in California, and received his Master’s of Science in Behavior Analysis from Simmons College in 2013. Robert has had extensive experience in supporting students in home and school environments, and knows the benefits of providing extra support to students during summer break! He is passionate about providing programming for students to increase independence and success in various environments and hopes these tips give you some ideas to make your child’s summer a success! Megan Breault, M.S., BCBA is the Director of Training at RCS Learning Center and has been with the organization since 2010. 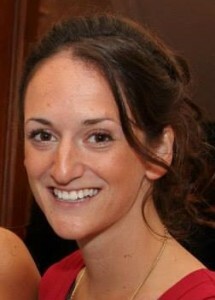 Megan received her Bachelor’s of Science in Elementary Education and Sociology from Stonehill College, and received her Master’s of Science in Behavior Analysis from Simmons College in 2013. Megan began her career with RCS Learning Center as a Behavior Therapist/Floater, was promoted to a Program Manager, and now acts as the organization’s Director of Training. Megan is passionate about ensuring staff and parents receive exceptional training and support to best serve students with autism and other developmental disabilities. Along with Robert, Megan hopes this article provides some great training and support as you look towards a fun and productive summer for you and your child!